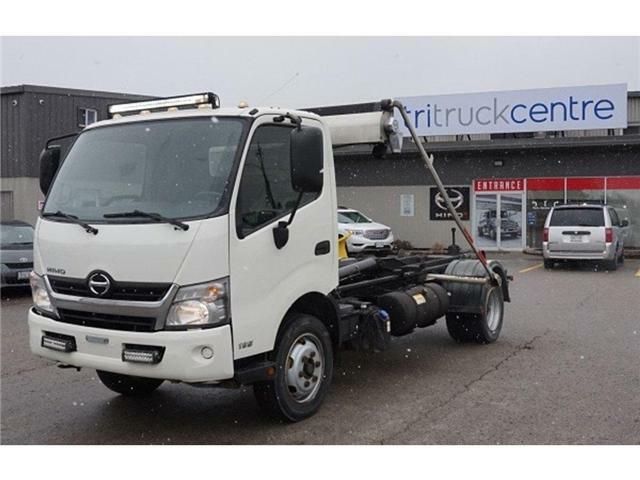 Used 2015 Hino 195 w/ XR5 Multilift and Tarp - for Sale in Barrie | Tri Truck Centre Inc. 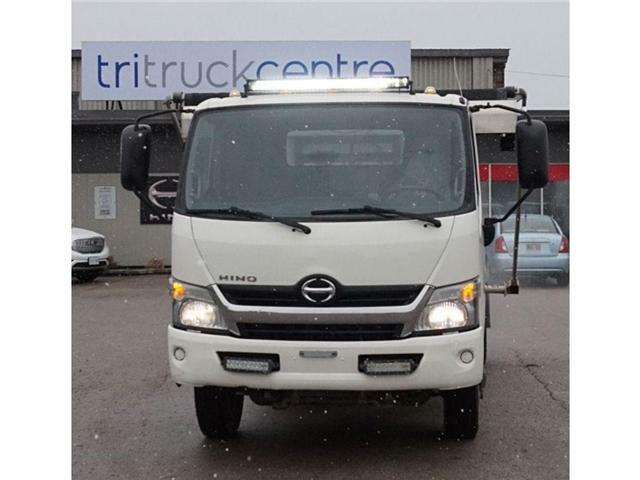 Very rare local trade of a 2015 Hino 195. This unit has been fitted with a Multilift XR5L hook lift system. A Roll-Rite tarp system completes the package and makes for covering your loads safe and efficient. 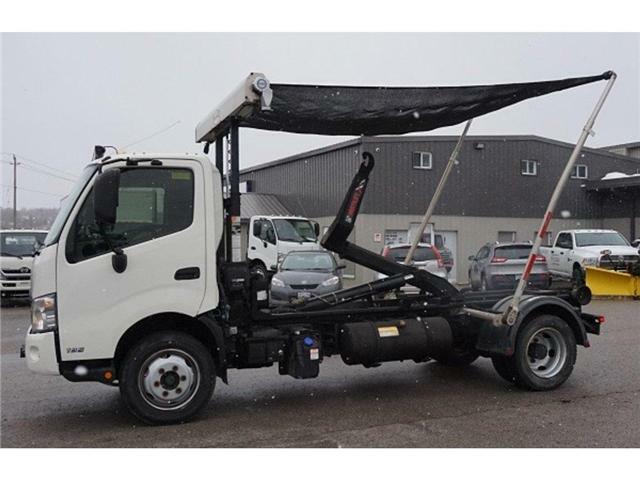 With a tow package, light package, and tool box this unit is “work ready"! 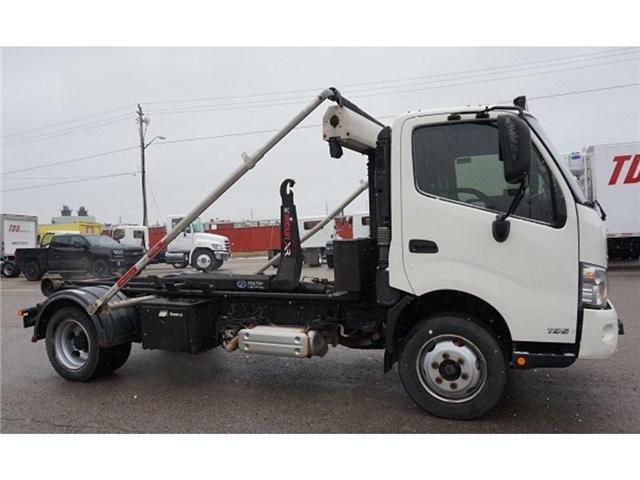 All standard features include power windows, magnetic driver seat, air conditioning, exhaust brake, tilt and telescopic steering, cruise control, power & heated mirrors, and a Aisin 6 speed transmission. 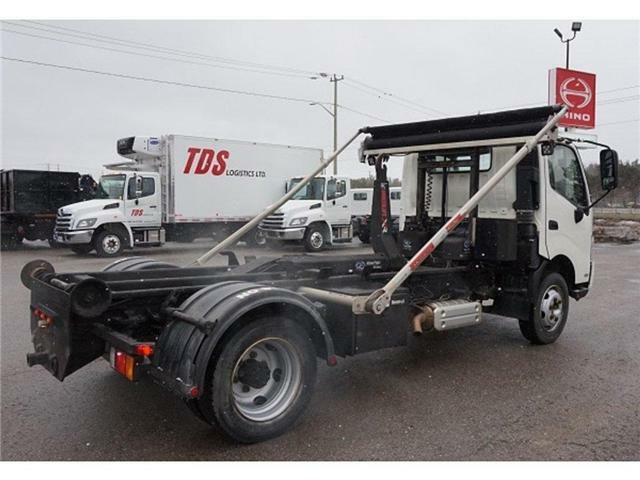 This unit will be sold safety certified and emissions tested. Unit still has balance of factory warranty remaining. Offered at $69900.00 plus HST and License Fees. A truck like this won’t last till spring!